Zitner's has a festive line perfect for the winter holidays. Zitner's candy isn't just an Easter treat anymore. In case you missed it, the nearly 100-year-old North Philly producer of chocolate-covered eggs with a cult-like following launched a Christmas line last year. 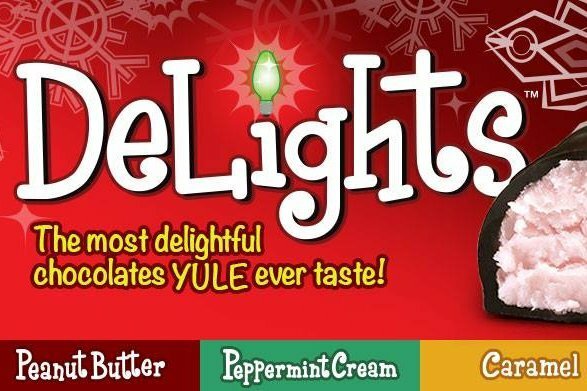 The DeLights are marketed as "the most delightful chocolates YULE ever taste." For those who love the popular Butter Krak eggs during Easter, there are Krak Kringle DeLights made with milk chocolate. The full DeLights line was just released, late November. Find the seasonal candy in stores and online. Below are all the festive flavors. And if you're already thinking ahead to Easter, for the most part, the signature eggs can be found on store shelves from mid-to-late February through the spring holiday.